Jane Carter Solution came with it this year, y'all! This line really took me by surprise, as I wasn't expecting the levels of awesomeness on wash day. Normally, my wash day is a hodgepodge of my favs or a mishmash of stash use-em-ups (you know how that be). Rarely do I ever use one product line throughout my entire wash day. But real talk, I'm glad I did. Jane Carter Solution's Healthy Hair line came through with the blessings, in a real way. 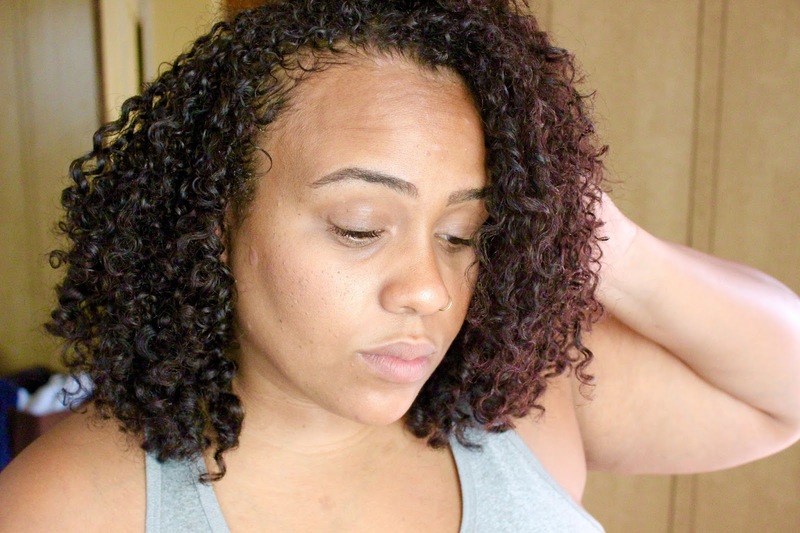 Because I can probably show you better than I can tell you, I recorded a video using each product on wash day. Per usual, you can find the product deets below - the video is just a glimpse into my wash day (sans shower). Because the Healthy Hair line consists of 6 products, I didn't want to skim on information or create a post that would take two weeks to read. So this review is for the first three products - the Cleansing & Conditioning Co-Wash, Renewable Difference Detox Shampoo, and Revive & Repair Hair Mask. On part 2, you can catch the Slumber Party Creamy Leave-In Conditioner, Frizz Free Styling Smoother, and Complex 4 Replenish & Repair Oil. Glycerin: Vegetable-based humectant that absorbs and retains moisture from the air. Jojoba Seed Oil: Emollient that coats the hair shaft (its molecular structure prevents it from penetrating the cuticle) and aids in providing slip and protection. Also known for being closest in composition to the natural sebum our scalps produce, that coat and nourish the hair. Cetearyl Alcohol: Considered "fatty alcohol" -- NOT to be confused with drying alcohols such as ethyl. Acts as a lubricant, thickener, and emollient. Gives conditioner its velvety feel without making hair greasy. Also used to keep product ingredients from separating. Henna Leaf Extract: Plant-based conditioning and strengthening agent that provides shine and improves the overall health of hair. Ok first things first. The first thing I know y'all gonna ask me - how does it compare to Bae Clean? Listen, Linda. No co-wash will ever, ever, EVAH compare to Bae. Because that's Bae. It's like comparing your man to Ghost. Yeah, he might look good in them suits, but Ghost can never do for you what your boo can. Cuz he ain't yours, he ain't real, and at the end of the day, his A-1 is Tommy. LMAO, that was a long way to go for that one. But I say all that to say - 1: I love Power (clearly). 2: There will never be another to top Bae Clean. BUT - that won't stop me from giving proper dues. And for what its worth, the Cleansing & Conditioning Co-Wash deserves some major love. It detangles like a dream, cleanses ah-MAY-zing ly, and delivers soft, moisturized, and defined curls post-wash. Like, so much so that I seriously second-guessed deep conditioning. Oh, and jojoba oil and henna at the top of the ingredient list? That's what we call winning, folks. Plus, the price point for 16oz of product is pretty generous. The Cleansing & Conditioning Co-Wash smells amazing (really, the whole line does), but it skeeves me a little bit when fragrance is so high up on the list. But the upside to that is that the fragrance isn't overbearing and didn't trigger any allergies. Another downside that's ptobably an upside but I can't quite call it is the packaging. I absolutely LOVE the idea of a flip lid jar, conceptually. Because I typically wash my hair in the shower, not having to worry about where to sit the lid down is a huge help. But at the same time, because I just dip my hand in and scoop, I end up using wayyyy more product than I probably need to. This is where I miss having a pump. But when products get low, pumps are annoying. I don't know - I'm on the fence. What do y'all think? All in all, the Cleansing & Conditioning Co-Wash is a top product from Jane Carter Solution in my book. I don't believe in co-washes that don't have slip - like, if you not gon' have slip - why not just shampoo? I detangled with Cleansing & Conditioning Co-Wash in great time, and the results were awesome. I highly recommend this if you've got dry and/or brittle hair, and you're looking to gently clean without fuss or drama. Plus, it's available on the ground. Absolutely. Without a doubt. See, here's the thing. I love Bae, but Bae has held a monopoly on my co-wash game for well over a year now. Probably closer to 2. And I'm a product junkie - I crave variety. This right here? Might just be the switch-up I was looking for! Sodium Lauroyl Methyl Isethionate: Water soluble, coconut dervied surfactant. Is known to be incredibly mild, and one of the safest on the market. Sodium Methyl Oleyl Taurate: Gentle cleanser used to increase the viscosity (thickness) in a surfactant mix, and provide lather. Umm, I'ma ask y'all. I'm not the CG expert when it comes to shampoos and cleansers. I tend to not have a whole lot to say about shampoos, because they're one-trick ponies. But I will say this - the Renewable Difference Detox Shampoo definitely made my scalp feel clean and refreshed. It lifted buildup easily and had some nice sudsing action. It also didn't dry my scalp out - which as someone with psoriasis, I appreciate. Even though the shampoo did not detangle my curls, it didn't turn them into a crunchy, tangled ball of messness, either. I appreciate that, too. Because some shampoos are a hot mess in that regard. Renewable Difference ain't one of 'em. In the video, you see me use the shampoo a little differently than traditionally used. That's because I discovered that I liked Renewable Difference more as a mid-month scalp cleanser than as a traditional shampoo. For those of y'all that don't know, I co-wash 3 weeks out of the month, and on the last week, I shampoo to lift buildup, clarify, and reset my curls. But as my workouts intensify, I find myself needing a bit more than a co-wash mid-month - and that's where Renewable Difference Detox Shampoo really shines for me. I added a generous amount of shampoo to about 7oz of warm water in an applicator bottle, and used the nozzle to concentrate the shampoo mixture directly on my scalp. 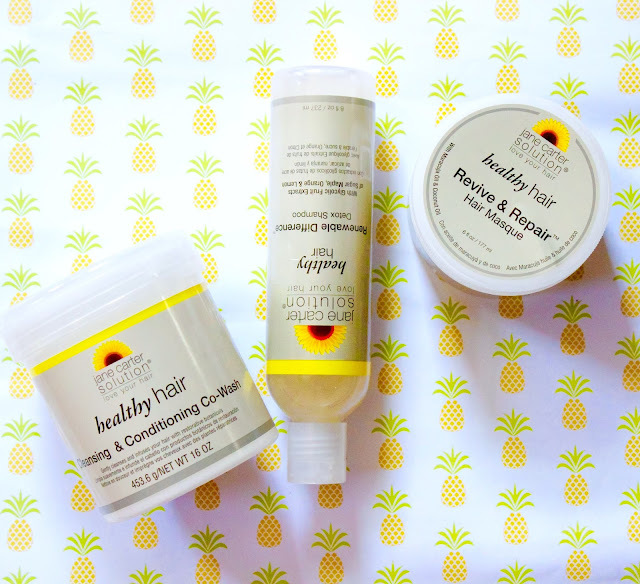 It's a total win, and ideal for naturals who have a more active lifestyle but don't want to over-shampoo their curls. To be honest, I didn't experience anything "bad" with Renewable Difference. The only thing I didn't get from the product was the ability to detangle - which I don't particularly look for in a shampoo, but is nice to have. To be honest, I didn't find much wow factor in using Renewable Difference Detox Shampoo as a full-on shampoo. To be honest, at this point in the game, there are other shampoos on the market that detangle, gently cleanse, file your taxes for you, and moisturize your curls all at the same time. Stacked up against that, it can be kinda hard to compete. Honestly, nah. I like it enough, and with the way I'm using it (diluted), it'll last a mighty long time. Don't get me wrong, it's a solid shampoo - and I definitely like using it mid-month to renew my scalp. But there's nothing super special that stands out about it, and for that, I'll have to pass. Cetyl Esters: A blend of vegetable-based saturated fatty alcohols and fatty acids that thicken, condition, and improve the feel of the product (adding richness) without weighing the hair down. Shea Butter Ethyl Esters: Extraction of shea butter designed to offer a light, silky feel and effortlesly absorbe in to the hair and skin. All the benefits of shea butter without the weight or greasiness. Right out the gate, I love everything about this mask. The fragrance (sweet and floral). The thickness. The creaminess. Spreadability. Slip. The results. 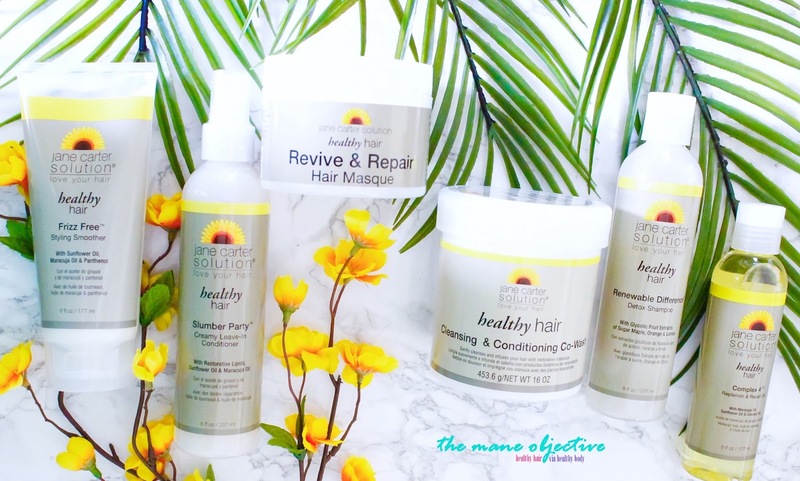 From the rooter to the tooter, Revive & Repair Hair Masque is a winner. 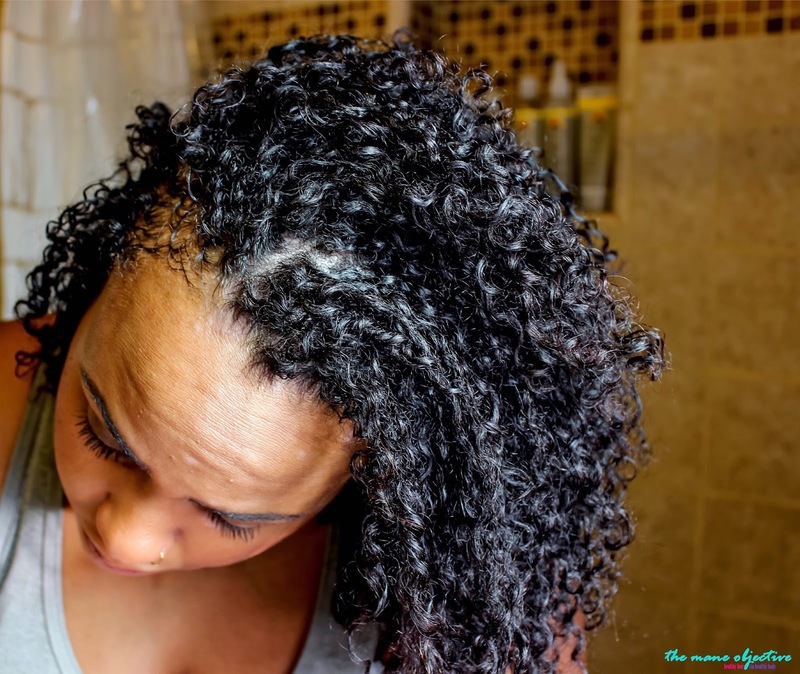 It's a great rehydrator, and perfect for curls that tend to be on the drier side of life. This deep conditioner went on my hair like a dream, made my curls pop, and feel like buttah! I mean, you can filter a photo...but video don't lie! Y'all know I live for the buttah feel, right? Absolutely. And double that if I can get that 16oz with a flip lid jar. Well folks, that covers part 1 of my review - the wash day essentials for Jane Carter Solution's Healthy Hair line. Click here for part 2 where I talk styling prep! Girl, I said it - we all be thinking it deep down inside watching Power lmao! And I promise, I want y'all to be great - with great hair! Let me know how you like it!